Do you have Aadhaar Number? 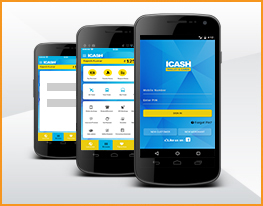 * Please note that the above declaration is mandatory to continue submission of the documents to ICash Card Team. IMPS offer an instant, 24X7, interbank electronic fund transfer service through mobile phones, web portals. IMPS facilitate customers to use mobile instruments as a channel for accessing their bank accounts/ PPI account and put high interbank fund transfers in a secured manner with immediate confirmation features. This facility is provided by NPCI. Now you can transfer fund from bank account to our iCashCard account through IMPS also. If your bank is IMPS enabled you can generate MMID for your iCashCard account and instantly top-up the card through the IMPS facility offered through the bank. Different channels of IMPS transaction using iCashCard. 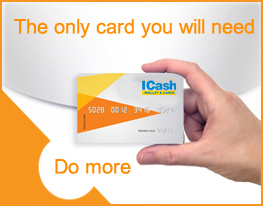 iCashCard empowers its customers to do IMPS transaction using commonly used three channels. As a iCashCard customer, customer can login to www.icashcard.in website, and use the links provided for IMPS transaction. iCashCard need to be registered first for IMPS SMS transaction. User should click on “Register for IMPS SMS” and submit the Card number, this is required as security measure. Once registered, you are ready to use SMS as a channel for IMPS transaction.